As Melanie Bodhi, 24-weeks pregnant, headed to a doctor’s appointment in Prince George in the spring of 2017, she had no way of knowing the whirlwind she and her husband would soon face. Less than 24 hours later, she was at Royal Columbian Hospital, flown in from her northern BC community amid increasing concerns she would need to deliver very prematurely. “We kind of had a complicated pregnancy from the start,” says Melanie, who learned she had a bicornuate uterus, which is a condition that can cause premature labour as well as other complications. 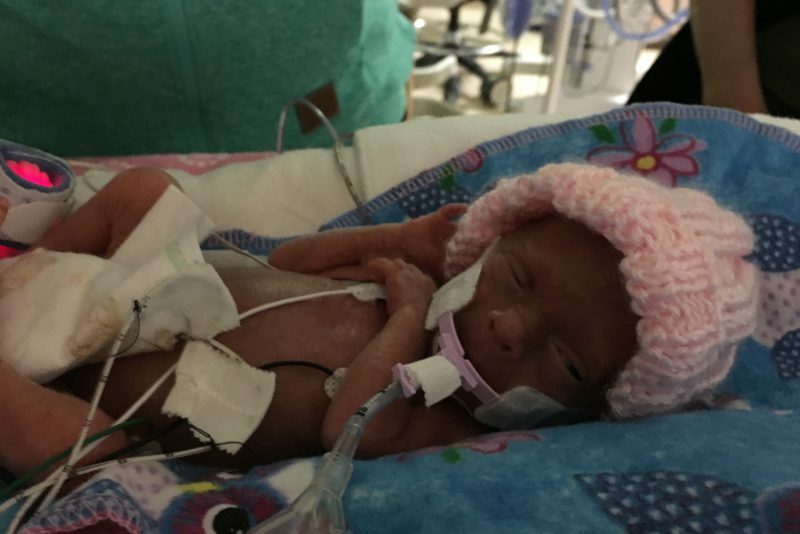 In her 23rd week, the medical team in Prince George ran tests for preeclampsia, a complication in a small number of pregnancies that causes high blood pressure and can be life-threatening to both mother and baby. Melanie exhibited some of the telltale signs: migraine, blurred vision and protein in the urine. Still, she and husband David Landrey didn’t expect they would soon be on a flight to Royal Columbian. The two left work Friday afternoon to get to an appointment with their obstetrician. Their plans soon took a sudden and unexpected turn. Melanie stayed overnight in the Prince George hospital before being transported to Royal Columbian the next day. 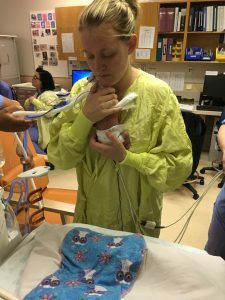 As one of the province’s four Level 3 neonatal intensive care centres, Royal Columbian is trained and equipped to care for newborns as premature as 23 weeks and weighing fewer than 400 grams. “We were really lucky, I think, to go to Royal Columbian, because the staff there were so amazing and supportive,” says Melanie, who was initially monitored by the hospital’s maternity unit for a week. Then, at 25 weeks and six days into the pregnancy, Felicity was delivered. She weighed 550 grams. Queenie Lai, manager of the hospital’s Variety Neonatal Intensive Care Unit, says her team is very attuned to the needs of the family as well as the newborn. And they recognize how those who are far from home face added stress. Donors to Royal Columbian Hospital Foundation help provide some relief for families who face unexpected expenses including accommodation, food, and travel. Melanie and David say the generosity of friends and loved ones helped them stay focused on their daughter’s care. 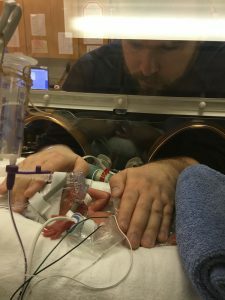 The neonatal team makes it a priority to keep parents very involved. 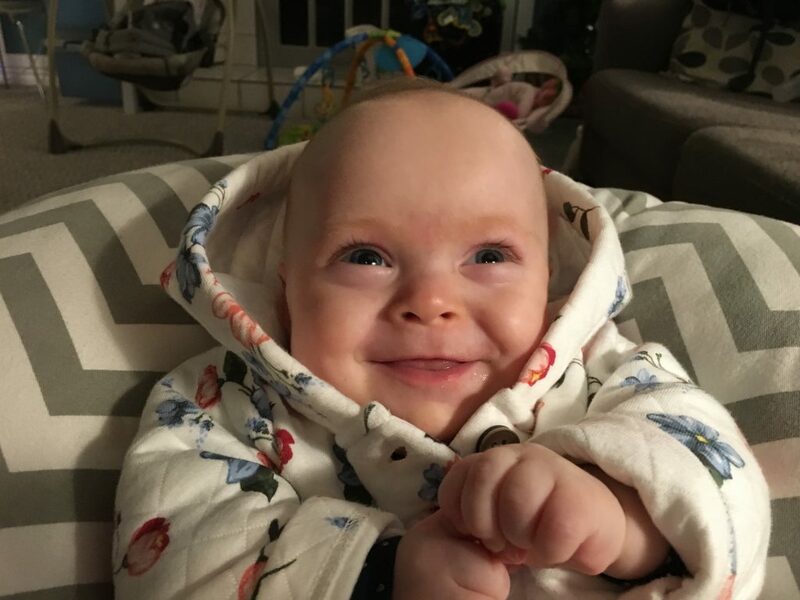 Felicity was at Royal Columbian for 103 days before being transferred to Prince George’s NICU for a further two and a half weeks. Her parents had some terrifying moments, including early on when Felicity became septic. She also stayed on ventilation for close to two months. But gradually, Felicity grew stronger. Back in Prince George, the family recalls fondly the many people who were involved in their care at Royal Columbian.